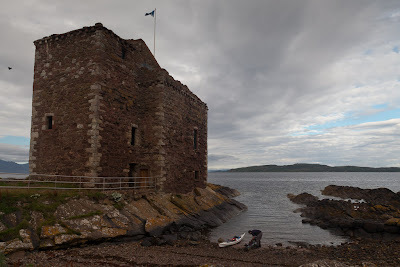 A castle and two forts on the way to Scalpsie Bay, Bute. Jim and I met at the recently restored Portencross Castle on the Ayrshire coast of the Firth of Clyde. Normally we launch down slippy rocks from the car park but recently my knee has been really bothering me and the rocks were not an option. 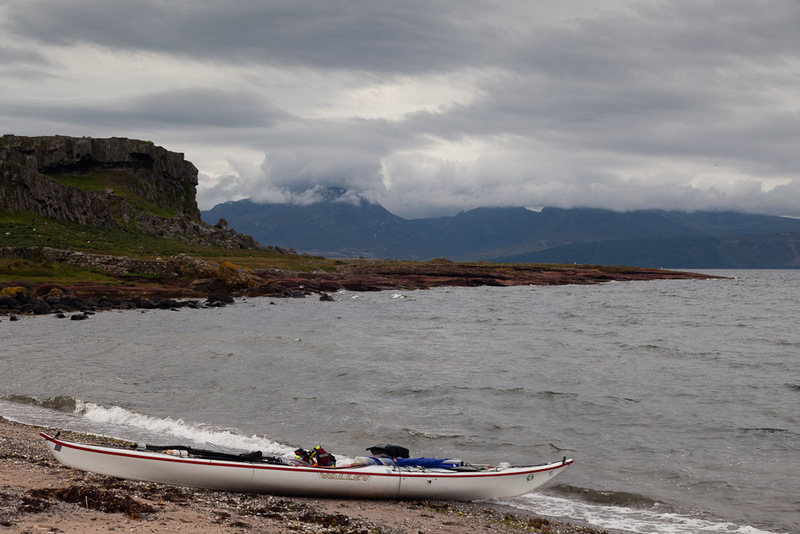 We therefore used our trolleys to carry the kayaks a few hundred meters to the little beach by the castle. 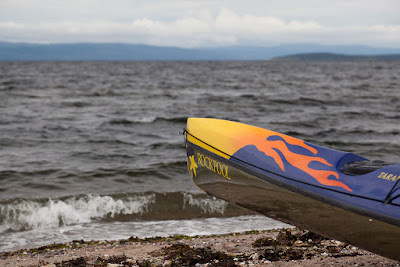 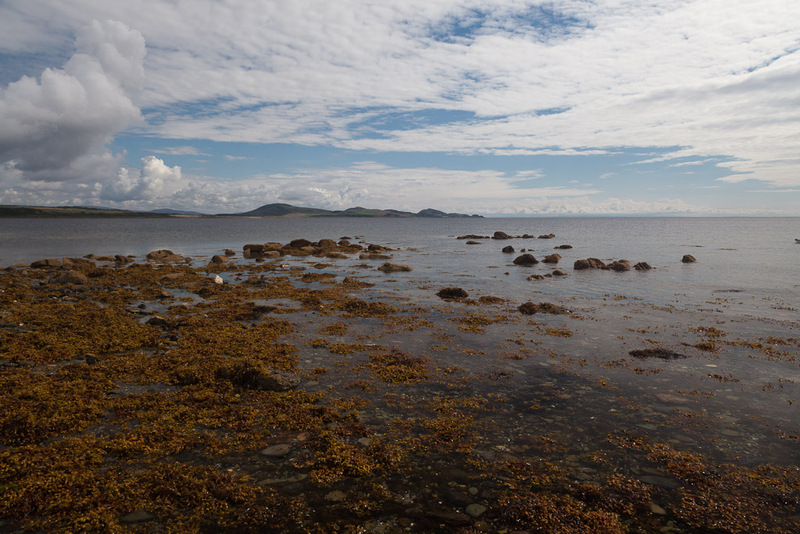 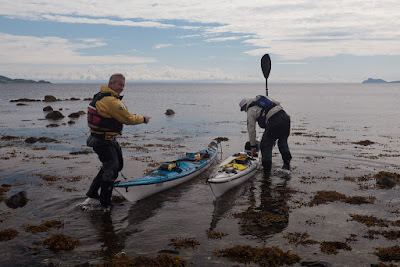 Tony and Gavin were on a camping trip round Bute and had arrived at Glencallum Bay at 10pm the previous night. 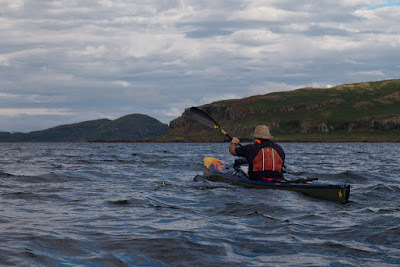 We hoped to meet them at Garroch Head. 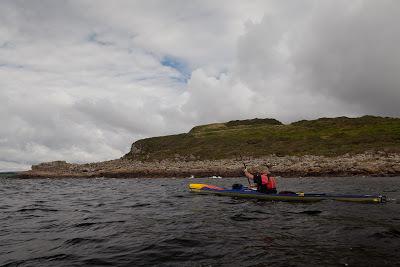 ...by the time we rounded Garroch Head and landed at Dunagoil Bay, we had missed Tony and Gavin. 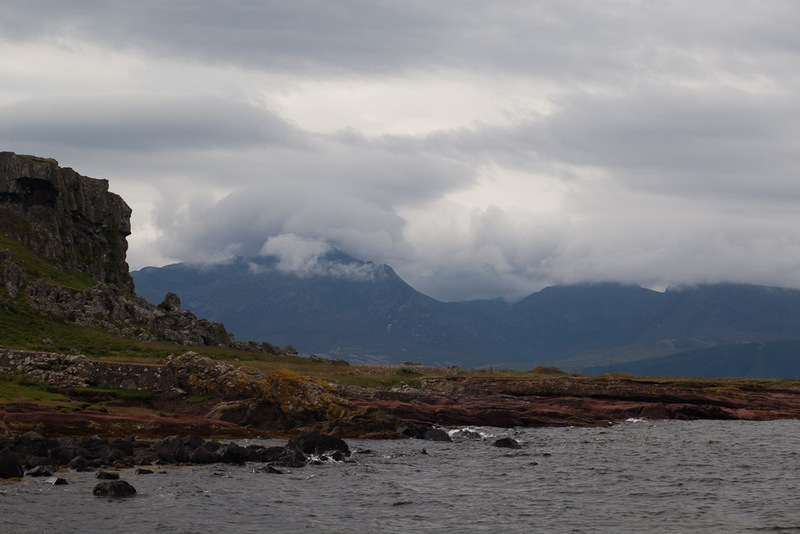 ...we departed from Dunagoil as heavy clouds rolled in, obscuring the Arran mountains. We soon passed Dunstrone, which like Dunagoil, has an Iron Age hill fort on its summit.